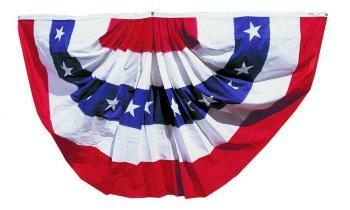 All Star Flags has 3x6' traditional patriotic pleated fans. This cotton bunting is decorated with red/white/blue stripes and white stars. Hang this USA bunting with pride!